When a violent jolt fractures the earth, the Nocturnal Brigade sets out to investigate its source. 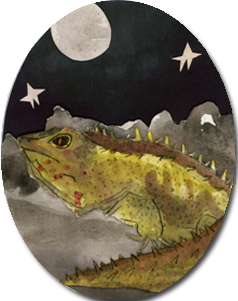 Along their journey, Dawn, Bismark and Tobin meet an unfamiliar reptile—a tuatara named Polyphema—who reveals that a giant beast caused the destruction and will soon strike again. With help from owls, jerboas, and kiwis, a trap is set, since surrender is not an option against this relentless beast. Note to Reader: This is one of Ms. Leger's favorite Middle Grade series. She seriously doubts you will find any middle school science or ELA teacher that wouldn't instantly fall in-love with The Brigade. It is adventurous and not even the teacher can predict what rare animal they will meet. These books have made a "tour" through our middle school and have had raving reviews, we haven't had one disappointed reader yet! 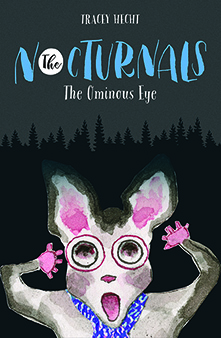 To read our first introduction to The Nocturnals World click HERE. The Brigade is back and ready to solve yet another mystery! 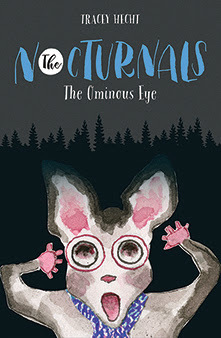 The Ominous Eye (The Nocturnals #2) is a must read for any middle schooler who loves animals and needs a great mystery. Hecht is a master at creating suspense and has the ability to keep the reader engaged from beginning to end. 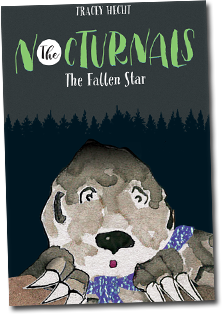 As a teacher, I am always looking for material to bring into the classroom and I can always count on the latest Nocturnals to introduce a rare and really forgotten animal. 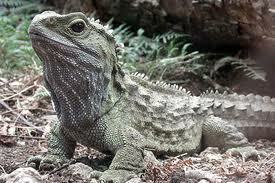 We meet an endangered species known as the Tuatara. I was not familiar with this descendant of the dinosaur, so of course I had to stop and do some research. It was not easy to find! I had to follow bread crumbs just to find information on this rare animal. I actually discovered a board on Pinterest that lead to a fun little article (link below). I don't know what Hecht's formula is for finding and creating such tall tales with such unique animals but it is supurb. I will not give any hints or details to the plot of The Ominous Eye because it just wouldn't be fair to the reader, you have to jump into this series blind! I would recommend this book to librarians, classroom teachers, and all middle grade readers. Nat also reports that this is also a great series to read-aloud, The Boys are really into The Brigade. For me personally, The Nocturnals is so much more than just a good MG series. The Educational Resources and interactive activities are so well planned and convenient. I even look forward to hearing what they posted on #wordwednesday on Twitter! Nat keeps me informed and sends me the images (I am too old to tweet). And speaking of images, it wouldn't be fair not to mention how much I love the unique style of the illustrations. I love how everything that relates to this world always comes with a beautiful image. Bravo Tracey! I can't wait to read The Fallen Star! The illustrations are so beautiful!